This reddit thread was too good not to share. 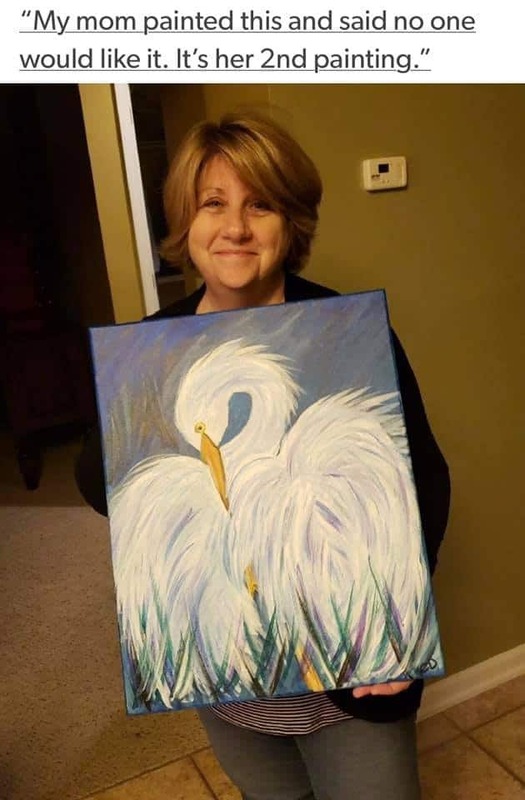 Someone’s mom painted an egret painting, her second piece of artwork, and she was concerned that no one would like it. The art community stepped up and several artists decided to “paint it forward”. Aren’t artists and the Internets awesome?